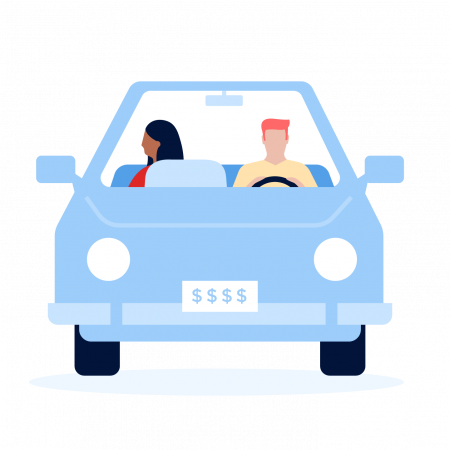 If you’ve ever shopped for auto or home insurance and wondered what’s behind a surprisingly steep price, your past claims could be the culprit. You might assume your current insurer is the only one that knows the claims you’ve made, but that’s typically not the case. Insurers routinely track and share information about their policyholders through two databases: the Comprehensive Loss Underwriting Exchange, or CLUE, and the less widely used Automated Property Loss Underwriting System, or A-PLUS. Insurers that subscribe to the databases can learn about claims you’ve filed going back several years, including the dates and causes of damage, claim check amounts and more. In some cases, they can learn about issues you simply asked your insurer about, even if the problem never resulted in a claim. Your past claims help insurers decide how much to charge for a policy. If a company determines your odds of filing future claims are too high, it might deny your application. Each time you make a car insurance or homeowners insurance claim, your insurer adds the incident to the CLUE or A-PLUS report. These databases are run by outside agencies — LexisNexis for CLUE and Verisk Analytics for A-PLUS. If your insurer is a customer of both, it might use both reports. When you apply for auto or homeowners insurance, you give insurers permission to access your reports and get a look at the skeletons in your claim closet. For example, if an insurer found you’d had multiple car crashes and made several collision insurance claims to fix your vehicle, it could factor that into your rates or decide you’re too risky to have as a customer. Declining to give insurers access to your reports would probably result in denial of your application, according to advocacy group Consumer Action. Inquiries about damage, even if you didn’t file a claim, where allowed. Twenty-two states ban home insurers from treating inquiries as claims, according to the Rutgers Center for Risk and Responsibility. Inquiries typically remain for two years. LexisNexis asks insurers not to report questions about coverage as claims, according to the Washington Department of Insurance. But to help prevent inquiries from coming back to bite you, make it clear that your question is hypothetical. If you confirm damage has occurred, it’s more likely to go in your report. Errors in your reports could trigger higher insurance rates than you deserve. That’s why it’s smart to verify the accuracy of your CLUE and A-PLUS reports before you apply for new auto or homeowners insurance. Under the Fair Credit Reporting Act, you’re entitled to one free copy of each report every 12 months. Since there could be information about you in both, it’s best to review both. If you notice inaccuracies, such as claims you never made or incorrect settlements, let LexisNexis or Verisk know. They will investigate within 30 days and remove any errors. You’re also entitled to a free copy of the corrected report.